YES! 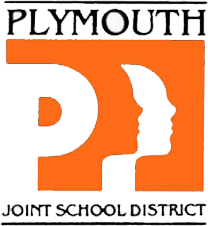 I want to make a donation to support the Plymouth Education Foundation. Your support will help to enhance the educational experience for students in the Plymouth School District. The Foundation accepts donations in many forms. Listed below are the most common ways you may make a gift. If you do not see the information you need, please feel free to contact us at 920-892-2661 ext. 1008 or info@plymouth.k12.wi.us. Plymouth Education Foundation is a 501(c)(3) non-profit organization, making your gift tax deductible. • List of donors to the General Endowment of the Plymouth Education Foundation. Memorial and honorary gifts are a special way to remember a loved one, friend, teacher or class. Gifts can be made online, by phone, mail, or fax following the instructions outlined above. For gifts submitted through mail or fax, please include the name of the person or class year you are honoring. A gift of long-term appreciated securities, either publicly traded or from a closely-held company, may provide you with greater tax advantages than a gift of cash. You may deduct the current fair market value as a charitable gift and completely avoid any capital gains tax on the appreciation. Your broker will need to compete the transfer. For those who are considering making a year-end charitable contribution to a charity, planning your giving to the Plymouth Education Foundation may align with your passions and maximize your contribution providing a tax break. Donations to the Plymouth Education Foundation benefit students, who are our future leaders, and is also an excellent way to make a long-term investment in the future of our community.